Daleys Fruit Tree has Plants for Sale to Windang and can Mail Order them to you door. Click to Find out how much Freight Will Cost. Narrow Leaf Bottle Tree has a swollen bottle like trunk. The insignificant flowers followed by small interesting boat like pods. A very attractive specimen tree or useful indoor plant. 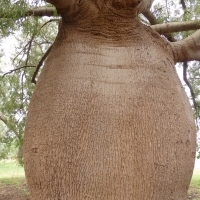 This is the QLD bottle tree and is very similar in the way it looks to the Boab Tree also nicknamed bottle tree from Western Australia however they are a different family of plants. You can even try growing them in pots but the pot would need to be very large. 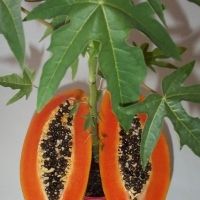 Bisexual orange - red fleshed Papaya with very sweet juicy flesh. Heavy cropper of elongated fruit. 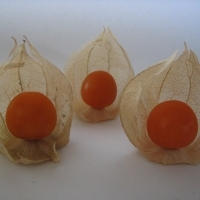 Seedlings have been selected from high quality self pollinated selection, so expect at least 80% bisexual plants. Performs best in a sheltered warm location. A deciduous shrub native to South America. It is an attractive plant with beautiful lemon scented leaves that can be used to flavour sweet and savoury dishes as well as making a refreshing herbal tea. 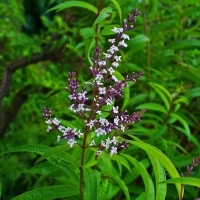 Lemon verbena grows best is a sunny position in free draining moist soil. It does not tolerate frost but can be grown in a pot and protected on frosty nights. The attractive, delicate and fragrant white/mauve flowers are also used in teas and other culinary concoctions.